Unless you were hiding under a (volcanic) rock last year, you would have noticed that Charcoal was one of the hottest health trends of 2015. 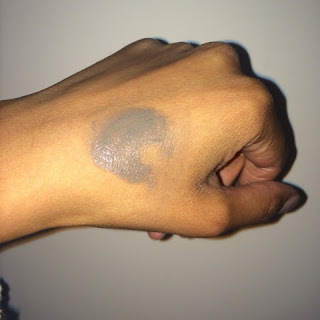 When ingested, activated charcoal absorbs impurities, leaving a toxin free body. 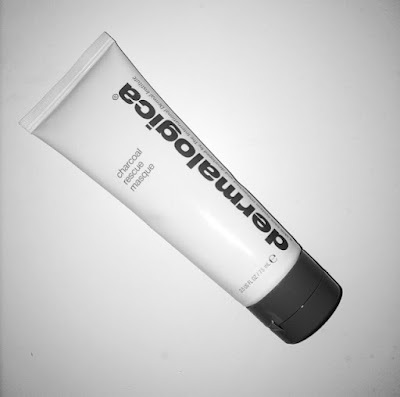 Charcoal has now moved into skincare with the new Charcoal Rescue Masque from Dermalogica which uses the same method of detoxification, where is draws out excess oil, toxins, refines pores, calms redness, and improves skin texture. I tried the Resue Masque after a few nights of partying and eating out, so I really felt like I needed it. The texture is smooth, and once dry, you will notice small white beads appear which you have to use to exfoliate the skin when you wash it off. The mask itself is a dark charcoal colour which drys quickly (7-10 minutes) and immediately tightens the skin. Once applied, the mask smells like citrus, however, when it starts drying, it starts to smells like Sulpher. Too be honest is not pleasant at all, so don’t use if it you want some gentle pampering. This stuff is heavy duty, so only use it when you really need it because it works. I would remove it in the shower, and also use a face wash after to ensure the smell doesn’t linger. It’s probably the strongest face mask I have used in a while so the next couple of times I used it, I applied a thinner layer. I would even reccomend using it if you have sensitive skin as Dermalogica have added ingredients suitable for all skin types, unlike a lot of other Charcoal products from other brands – I would probably go easy on the exfoliating though. For those who have oily, or problematic skin, it’s definitely a winner for you, and you have combination skin, I would reccomend using in on problem areas only such as the T Zone. I thought my whole face needed recusing so I dried out my cheeks which was irritating. It did however, make my face look super clean, smooth, and bright. If you are concerned about which areas of your face need help, I would definitely reccomend going to a Dermalogica counter and have your skin mapping done by one of their experts. It will highlight your problem areas and reccomend the best products. The Charcoal comes from activated Binchotan, a Japanese Ubame Oak which has traditionally been used to purify water, deodorise air, and whiten teeth. It contains an internal network of micro pores to absorb 1000 times its weight in positively charged compounds. Apply this to skincare, and your face, and you are left with clean, detoxed, and fresh faced. It also contains Sulpher for its anti inflammatory properties, Volcanic Ash, hot spring, and Marine Salt, to exfoliate. Phytic, Lactic, and Mandelic acid for cellular turnover, Niacinamide to reduce redness, and Chilean Wild Mint to clarify skin and refine pores. I used the mask again today because I have been sick this week and my skin has dried up and looks tired and dull. When I washed it off I exfoliated on my problem areas – my lips, chin, forehead and above my cheekbones. Once washed off, my skin felt like new again, it was softer, and looked really fresh and radiant.